Ankara, the era of security! The first visit conducted by the Turkish Minister of Foreign Affairs to Erbil has carried several messages. These include: the security cooperation with Iraqi-Kurds, announcing a new approach in Turkish regional policy, which will be more security orientated and the war against Kurdistan Workers’ Party PKK as a short-term strategy for the AKP to regain its strengthen domestically. Starting with Ankara’s close ally, it is worth mentioning that the AKP has close strategic relations with the Kurdistan Democratic Party (KDP), reflected from strategic understanding on security and economic affairs between the two sides. Since 2009, Ankara has altered its policy towards Iraqi-Kurdistan, through adopting soft power approaches to gain its interests instead of using hard power approaches. 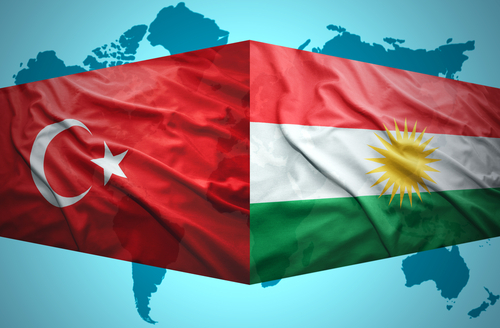 Therefore, the economic and political agreements have increased the level of common understanding between Iraqi-Kurds and Ankara on regional affairs, particularly the issue of the power vacuum with Iran since the central government in Baghdad comes under the direct influence of Tehran. Subsequently, the Iraqi-Kurdistans also need regional protection due to its geographic vulnerability and the regional interference in the internal affairs of Iraq. In the unpredictable political and security conditions, the current security approach appears to dominate the Turkish regional agenda. Hence, it will acquire the newly elected government to rearrange its strategic view that could be based on security and military options more than the idealistic calculation of Ankara’s previous foreign policy in the Middle East. There are several variables that will increase the cooperation with Iraqi-Kurdistans; those include the Kurdish control over northern Syria, the PKK and the domestic political crisis among Iraqi Kurdish parties. The first variable is Kurdish nationalism and its empowerment in northern Syria, increasing Turkish concern on its national security, which may affect its own Kurds and threaten national integrity. The links between the PKK and Syrian Kurds has raised the traditional fear of Kurdish separatism, which is a challenge to its sovereignty. Hence, more security and the use of military will dominate the Turkish- Kurdish policy in the regional context. Additionally, the domestic political situation in Iraqi- Kurdistan is another important variable in the Turkish calculation on its own security. Ankara will continue to support the KDP, strengthening it in northern Iraq and northern Syria; this is due to the mutual interest between KDP and Turkey. Therefore, Ankara intends to keep its influence over Iraqi- Kurdistan to decrease the Iranian influence and reduce the PKK’s impact on Turkish national security. In addition, Ankara wants to make it clear for the regional countries and the active non-state actors such as Kurds, and other groups on the ground, that Turkey will behave differently in the coming four years under the AKP. This message intends to raise the Turkish position as a powerful military force in the region, and its engagement in any resetting to the political map of the Middle East. For instance, Turkey has increased its military advance in recent years, and now has a productive weapon industry that provides privilege over several countries in the region, bringing Turkey to the level of Israel in terms of domestic military independence. The Turkish Minister of Foreign Affairs started his first visit to Iraqi-Kurdistan, because Erbil will be a crucial part in the coming political development in the Middle East. The importance of Kurdistan regional government comes from its direct involvement with Kurdish nationalism in the regional context, its direct fight against ISIS and its close relationship with the international community. Turkey needs KRG support for its new policy to avoid any clash of interests after a decade of friendly relations with Iraqi-Kurdistan, and Ankara knows that gaining the Iraqi-Kurds support will enable it to face the security challenges that occurred in post Arab Spring, especially after the Syrian war and the rise of Kurdish nationalism. Moreover, the war against the PKK has been an important card in the recent general election in Turkey. This has dominated the security plan for the AKP to regain its public support among Turkish nationalist groups. The outcome of that election showed that the AKP needs to rethink its security policy and has to alter its security understanding through concentration on the regional challenges that face Ankara. It is worth mentioning that PKK in the last six months has adopted a different tactic against Turkey in order to create a pressure card for the on-going peace process. However, the result came as a shock to the military body of PKK in the Qandil mountains of northern Iraq, Turkey in turn started using its hard power and military operations, then announcing an end to the peace process with the PKK. Therefore, the pervious strategy based on soft power, and the rapprochement with PKK, appear to be removed from the agenda of Ankara’s top priorities, at least in the current situation. The new strategy will be more security oriented, Turkey aiming to see remarkable changes in the PKK’s plans, particularly its links with Iran and other actors that are in competition with Turkey on regional politics. To that end, Ankara has its concerns about the unpredictable situation in the Middle East, particularly on its border. This will force it to adopt a series of approaches in its regional policy, and the possibility for security orientation is high in its foreign policy. It is an era of security and the new competition among regional and international actors will drive Ankara towards more security calculations in the near future. 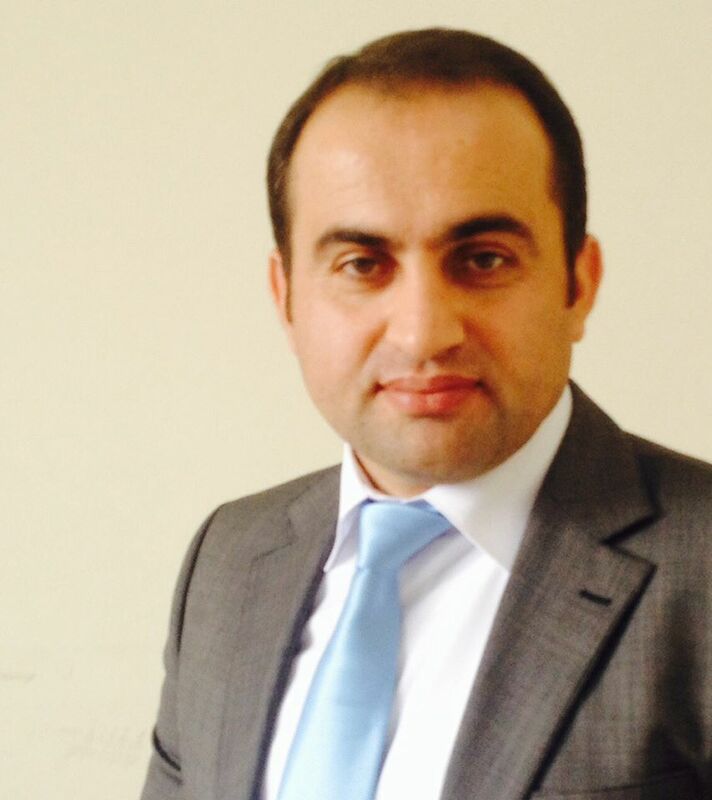 Zeravan Barwary is a Kurdish Political analyst and specialist in Turkish policy towards Kurds. He has also published a book on the Turkish policy towards Iraqi Kurds-2003-2008 and is currently a PhD Researcher at the University of Surrey.